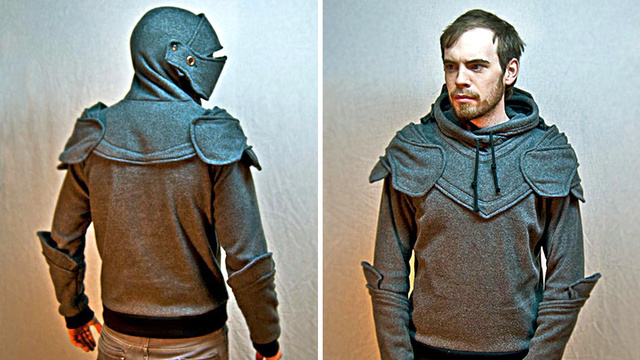 Back in June, Gizmodo ran a little article on a Medieval Hoodie that might be just the thing for those chilly Autumn days. See more here! Looks like the chap is still struggling to keep up with orders. Not a huge surprise, but I hope he gets some help. Thanks for the heads up, Paul! Good on him, becoming that busy, and it looks like he'll get caught up on the 27th. I do hope he finds some helpers too and that he keeps busy for a long time.